Geological Institute of Macedonia confirmed earlier estimates of gold and copper reserves in Bosilovo municipality. Geological Institute of Macedonia completed a study review of the geological tests at locations near Ilovica and Stuka in Bosilovo municipality where new copper and gold mine should be opened and confirmed earlier estimates of the reserves of these minerals. In this review, conducted according to the legal obligation, it is also established that there is 237 million tons of resources and 225 million tons of ore reserves at that site, of which, according to estimates, can be obtained approximately 70 tons of gold and 410 tons of copper. Of this amount, the survey provides usability of 86.5 percent for gold and 84 percent for copper, and the length of sites exploitation is planned on 23 years. 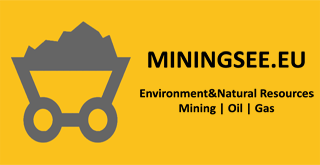 Upon completion of this review it was completed phase of detailed geological survey and thus there were created the statutory conditions for the continuation of the process of a new mine opening. According to plans, the copper and gold mine in Ilovica should start work in 2017th. The total investment for the development and construction of the mine will be about 500 million dollars, and the plan is to employ about 400 people. For now, only one American company – “Euromax Resources”, that conducts such research in Serbia and Bulgaria, has the concession for Ilovica exploration. Recently, through direct private sale, for the sake of the investment objectives, the European Bank for Reconstruction and Development took 19.99 percent of Euromax. There is currently only one copper and gold mine – Bucim in Macedonia, which has almost being closed, because it is estimated to have reserves for only a couple of years. Copper and gold mined in Macedonia, usually go on refining in Bulgaria, as in Macedonia there is no metallurgy plant that would refines these metals, by which would be increased their export value.